MALAYSIA, 19th December 2013 - In the spirit of the holiday season, Transition Systems Malaysia organized a charity event to give back to society.. “We are always so busy with work but we should not forget about those who are in need. We found an orphanage close to our office to share our love and joy with the needy children during this holiday season.” said Jennifer Teh, Country Manager of Transition Systems Malaysia. 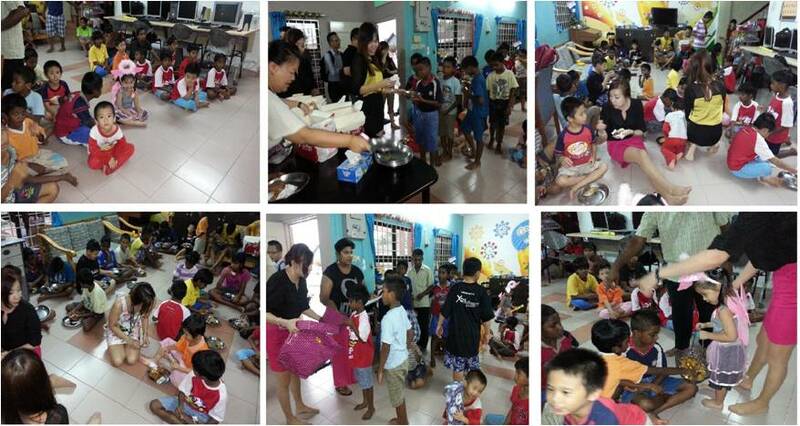 At Rumah Juara orphanage in Petaling Jaya, there were 37 lovable orphans. There were all happy and excited when we arrived at their premise with food and gifts. We sang together with the children, had dinner with them and handed them gifts. Not only did the children enjoyed the time but all our staff also had a good time with the children. We would like to thank Ms. Cecillia, who co-manages the orphan house – Rumah Juara, for allowing Transition Systems Malaysia team to spend time with the children. May the joy of Christmas and the year end holiday season bring joy and happiness to everyone out there!